There are all sorts of reasons you might need a safety vest, but whatever the reasons may be, you should look for yours at SafetyGearOnline.com. They have a variety of vests that provide you with better visibility and more safety as you work. If you're wondering what you might need safety vests for, here are a few suggestions. 1. Setting emergency workers apart. In any local disaster such as a flood, fire, or criminal attack, it can be extremely important to set the emergency crew apart from the crowd at large. You can get vests in distinct, vivid colors that make them easy to identify. 2. Increasing visibility for those who work near traffic. Construction workers, crossing guards, and toll booth workers must be able to be seen at all times, since there may be traffic zooming at high speeds all around them. 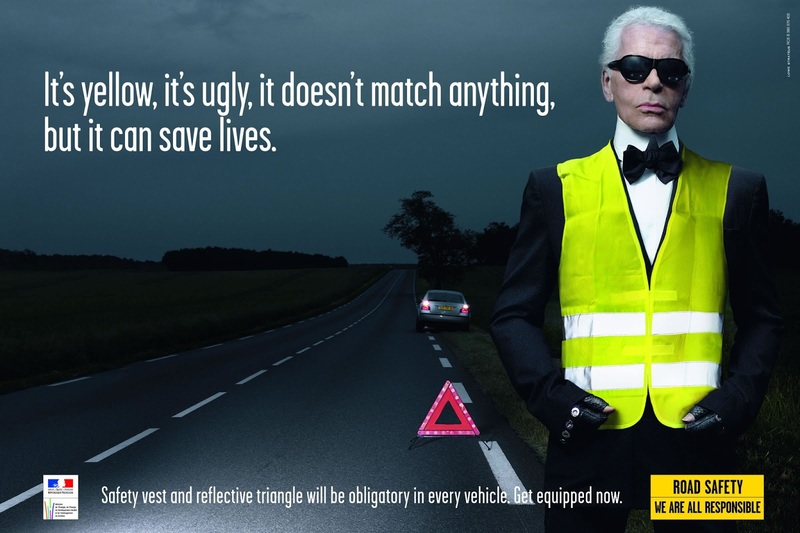 Providing them with a safety vest is an easy way to ensure they are always visible. 3. Increasing visibility for parking lot workers. Even through traffic should not be going through a parking lot at high speeds, it's still important to make sure shopping cart retrievers, delivery vehicle drivers and parking attendants are visible to the cars around them. These are just a few situations in which safety vests would be helpful. SafetyGearOnline.com can provide you the most appropriate vests for your needs. You can even get customized logos or names printed on them, to help separate your organization from others. With safety vests, you and your workers can safely do your jobs in the community. Investing in quality safety gears is very important because life is more important than anything else. Hubby is looking for a vest like this to use when he's riding a bike. Safety vest help workers stand out so moving traffic can avoid them. Hay it's not just the workers, I think those who ride their bikes at night should also have something like this! When I'm driving at night I encounter a lot of people biking without any reflective gear, not even on their bikes!!! It's only when I'm too close to them already that I spot them. Safety vest is really a very useful thing.should give it a try.thanks for this helpful review. Foodie Goodie | Lucky Me! Special Pancit Palabok. Benefits of Using Infrared Heaters. Wordless Wednesday #40 | Bee Happy! Why Floor Scales are a Must in Every Warehouse. Sign-Up | Kindle Fire HD Giveaway. Fashion Pulse | Cocktail Dresses. A Larger Than Life Tribute from Ceelin. 5 Reasons Kids Need Access to the Internet. Creative Projects For Your Kids. Lee Min Ho Live in Manila! Again! Foodie Goodie | Grilled Cheese and Pepperoni. For the Love of Vintage. Wordless Wednesday #37 | Play Hard, Study Harder. Win Free Movie Passes from AyosDito.ph! Fruttare | It's All Good! Create your own Website with Web.com. Ink Ideas for the Tattoo Newbie. Wordless Wednesday #36 | Playing with Filters.